As we come to the end of the year, PARCA is very proud to share our 2017 accomplishments. After all, we couldn’t have done it without you! Please click on the link to view our year-end summary. We truly appreciate everyone’s support. Whether you donated, came to a fundraiser, bought merchandise, shared posts, gave us ideas for activities, offered words of encouragement, or helped in another way, we appreciate you! Funding the move of our first rhino, Franklin, was a huge accomplishment that we started working on before PARCA was formed. 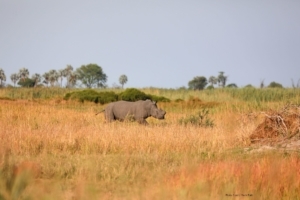 77 rhinos in total have been moved by Rhinos Without Borders. Their goal is 100. We have set our sights on funding our second by June 2018. We hope that you will continue to to be moved to save this iconic species. And we hope to see you at an event in 2018 so that we can say thank you in person! Need gift cards? Order to benefit PARCA! We have an exciting new way for you to support PARCA! Order gift cards that provide a rebate to us from each one purchased! Go to www.shopwithscrip.com and click “join a program.” Enter PARCA’s enrollment code, 2F4D248359419. You purchase either physical or electronic gift cards and PARCA earns between 2-16% on each one. You can pay through their Presto Pay (out of your bank account) or by a check you send to PARCA. You get the electronic gift cards sent to your email. Physical gift cards come to us and then we get them to you in person or via mail. How easy is that?! Questions? Let us know! If you need gift cards for any reason, this is the best way to get them because these help to save a species. PARCA is thrilled to debut “our” rhino – we feel like new parents! Please “meet” Franklin – he is the result of all of your support and our hard work. He is the rhino whose move to safety was funded by PARCA. Franklin will now enjoy life safe from poaching. Only Franklin needs his horn. We thank you all again for your incredible support and wanted to share him with you because we are all #savingonehornatatime.